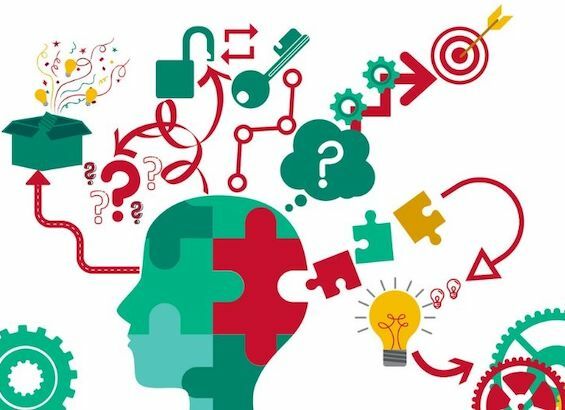 "Innovation" is a popular buzzword these days, but leaders at the University of Houston's College of Technology say its meaning shouldn’t be a mystery: Creative thinking and problem-solving are skills that can be taught. The college will offer a minor in Applied Innovation, open to any UH student, and has reworked its curriculum to launch an undergraduate degree in Technology Leadership and Innovation Management. It also will offer a minor in Technology Leadership and Innovation Management. The new programs will begin in fall 2019. Dean Anthony P. Ambler said innovation is key to all of the disciplines that make up the College of Technology, from engineering and natural sciences to business and social science. "We are about giving people the right tools to innovate," he said. "How do you get more people to the position where they are able to innovate?" Ahmad Mohamad, a senior majoring in mechanical engineering technology, took the Innovation Leadership class last fall, attracted by the syllabus and the business background of the faculty member, David Crawley. Mohamad's takeaway? "I always thought of creativity as something that comes upon you in the middle of the night, or in the shower," he said. "But there are techniques you can learn to help you come up with these creative solutions." The undergraduate degree replaces the former Organization Leadership and Supervision (OLS) degree, although students currently enrolled in the OLS degree plan will be able to continue, said Brian Mehring, instructional assistant professor in the College of Technology. The new degree, along with both minors, is affiliated with the Foster Center for Innovation at the University of Maine and with Innovation Engineering, an Ohio-based organization that offers education, workshops and other projects to promote innovation. Mehring said UH students in the program will be eligible to earn industry recognized Innovation Engineering certifications after completing certain classes. While the business world and higher education often talk about innovation, Crawley, professor of practice in the College of Technology, said the UH effort is different. Rather than focusing on entrepreneurship to launch businesses, the new undergraduate degree and minors "give students the tools and skills with systems thinking disciplines to solve problems and develop meaningfully unique opportunities," he said. "We believe anybody can be taught to be innovative. It's not just for the gifted few." Mehring said the new programs will help to fill a void in the regional workforce. "The business community says, 'We need innovation,' but they need the workforce first," he said. "This will be that applied skillset industry wants and needs." John Jeffers, director of geosciences at Southwestern Energy, agreed. "Learning how to innovate—how to identify unmet needs, creatively develop solutions, and then bring them to reality—amplifies the workplace value of all other technical and business skills,” he said. “Whether innovating within an organization as an 'intrapreneur,' or stepping out to create something new, people who are familiar with the mindset and practice of innovation have an enormous advantage." Aireal Sandidge, a senior mechanical engineering technology major, said the Innovation Leadership class she completed last fall taught her skills she expects to use in her future career. "Some of the skills we learned to spur creativity—brain dumping, mind mapping—they aren't just something you learn in class and then forget," she said. "They can apply in your everyday life. I think with practice, it will be very useful." Ambler said the college will seek to ultimately add master's and Ph.D. programs in Innovation Management; a continuing education certificate program is another possibility. This story was originally posted on University of Houston Stories.